What a gorgeous handmade pillow. Who wouldn’t wan to cozy up to this giant, furry luxury pillow with a good glass of wine?! 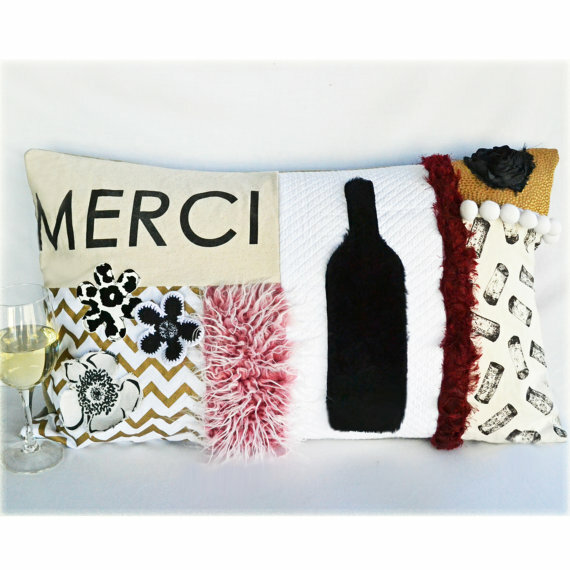 Give it to a wine lover as a gift or treat yourself to a fabulous, conversation piece for any room. This design includes faux fur, twill, matelasse fabric, and wine cork linen, accented with ball fringe. 16″ x 26″ oversized lumbar pillow.